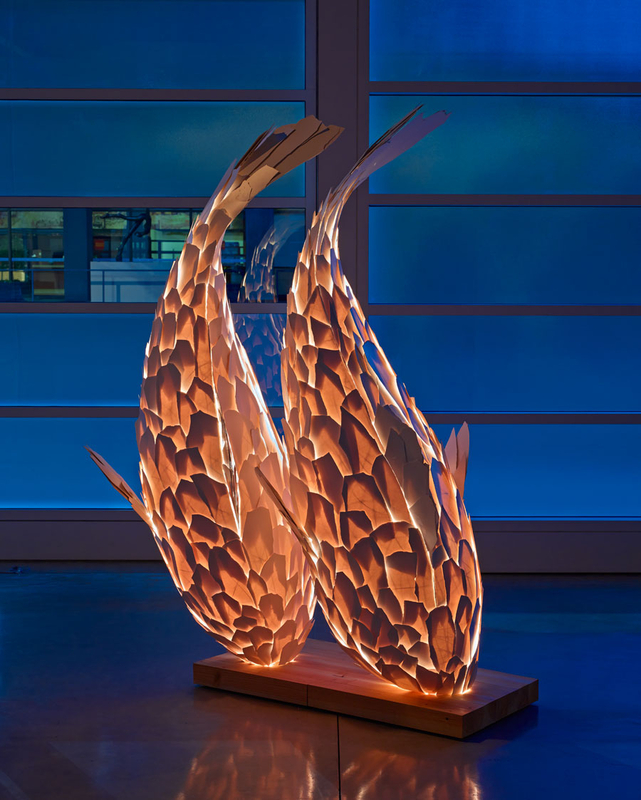 This series of lamps and large decorative pieces were created by world renowned architect Frank Gehry, came about as a result of some dropped laminate material. When the pieces shattered on the floor, they looked like fish scales, and just like that a whole series was born. Originally on display at the temple of expensive art, Gagosian Galleries, the series made its way to a few other smaller events around the world. Frank said about this series, “the fish is a perfect form”, and his ability to capture the movement and motion in a still piece is vaguely reminiscent of his incredible contributions to the art of architecture.